Here’s a look at the Las Vegas Real Estate Market for April 2018. According to a report released on April 6th by the Greater Las Vegas Association of REALTORS® (GLVAR), homes prices continue to rise while inventory numbers shrink as we head into spring. March ended with a total of 3,886 condominiums, townhomes, and single family homes sold. That is an impressive increase from the 2,704 sold in February, but the number is down 1.3 percent from last year at this time. The median price range of houses that sold in Las Vegas during the month of March was $280,000. This amount shows an increase of 15.7 percent from March 2017 and an increase of 1.8 percent from the $275,000 of last month. The median price for a townhome or condo in Las Vegas for March was $160,000. The current median price range shows an increase of 30.1 percent from this time last year. At the end of March, there were 761 properties on the market without an offer. The current number of unsold condos shows an increase of 6.4 percent from March of 2017. At the end of the month, there were 3,835 single-family homes listed with no offer. That shows a decrease of 30.1 percent from this time last year. The low inventory trend continues with less than a 2 month supply of inventory on the market. In order for the market to be considered balanced, there needs to be a 6 month supply of inventory. One point of interest is that there are fewer distressed sales and short sales. In fact, only 2.9 percent of all homes sales in Las Vegas were short sales or foreclosures in March. This number is down from the 10.6 percent from this time last year. Local inventory of homes for sale remains low, but we’re seeing an increase in sale price. In fact, prices are rising faster than usual for this time of year. If you’re thinking about buying a home, now is the time to speak to your real estate agent about finding a home that meets your needs. 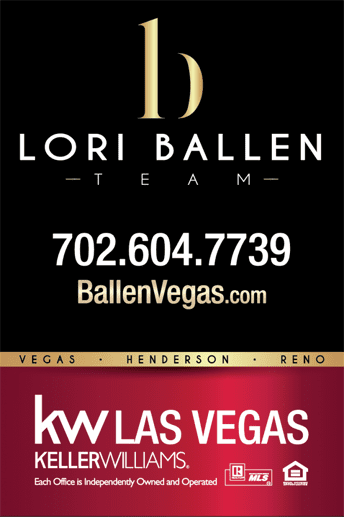 If you’re thinking of selling your house, Las Vegas needs your home added to the current inventory! Buyers are not slowing down when it comes to paying more for the home they want, so now is a good time to speak to your real estate agent about a solid marketing plan. We’ve got good news when it comes to how fast homes are selling. The percentage of homes that sold within 60-days for the month of March is 82 percent. Last year, only 9 percent of homes sold that quickly. The percentage of condos that sold within 60-days for the month of March is 89 percent. That percentage is up from the 81.2 percent that sold that quickly in March of 2017. Here’s the most recent home listings just added to the database in the average price range for Las Vegas. All homes here are priced at $280,000 or less.